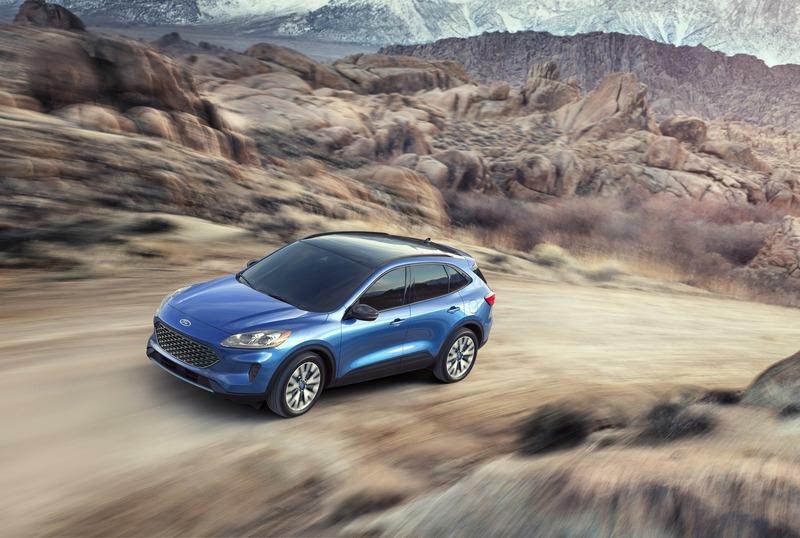 Design-wise, the fourth-generation Escape adopts the styling language that already adorns much of Ford’s current lineup. 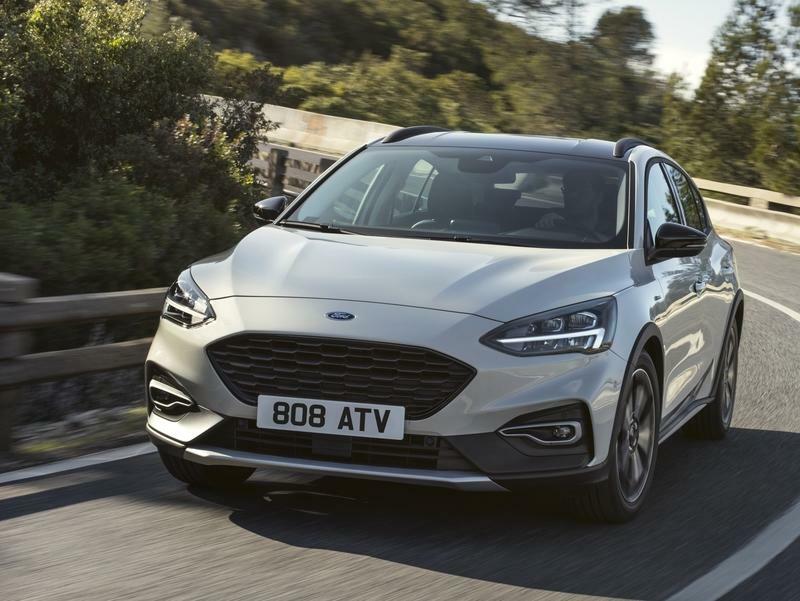 Just like the Focus and the Fiesta, it now features a wide grille mounted lower in the front fascia, swept-back headlamps, and horizontal taillights. Ford claims that the trapezoidal front grille is inspired by the latest Mustang while the front apron borrows from the GT supercar, but that’s just fancy PR talk. In reality, the Escape is pretty much a Focus (or a Fiesta) up front. Sure, the lower apron and the fog lamps have a unique design, but beyond that we’re looking at a design that’s heavily inspired by the Focus and Fiesta hatchbacks. Specifically, the nose and the grille are similar to the Focus, albeit a tad boxier, while the headlamps look a lot like the Fiesta’s. 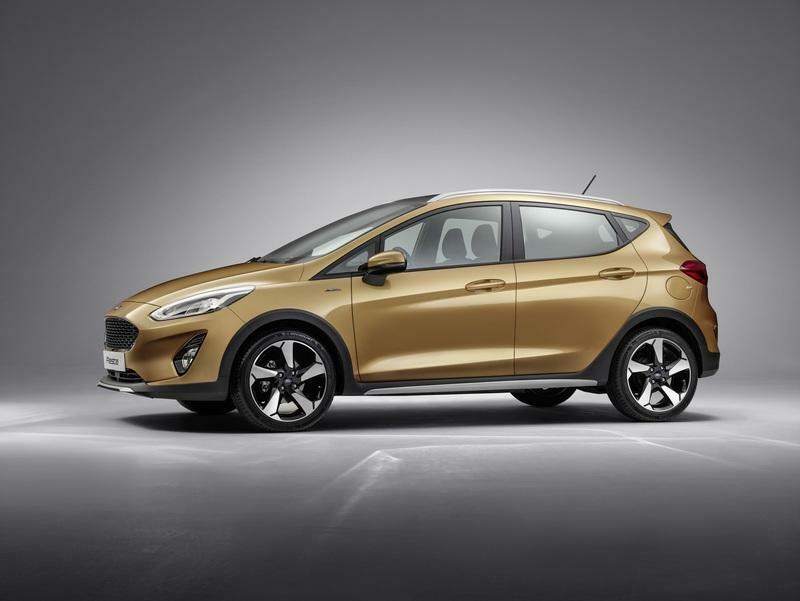 Even the the splitter-like element and the cladding on the wheel arches are similar to the Fiesta Active, a higher riding version of the subcompact hatch. The Escape’s new profile isn’t radically different than the old model, but there are a few new cues to talk about. For starters, Ford went with smoother surfaces. It dropped the protruding character line that ran through the door handles and rebuilt the side skirt cladding, which now doesn’t look as utilitarian as before. It also rounded the frame around the quarter window. 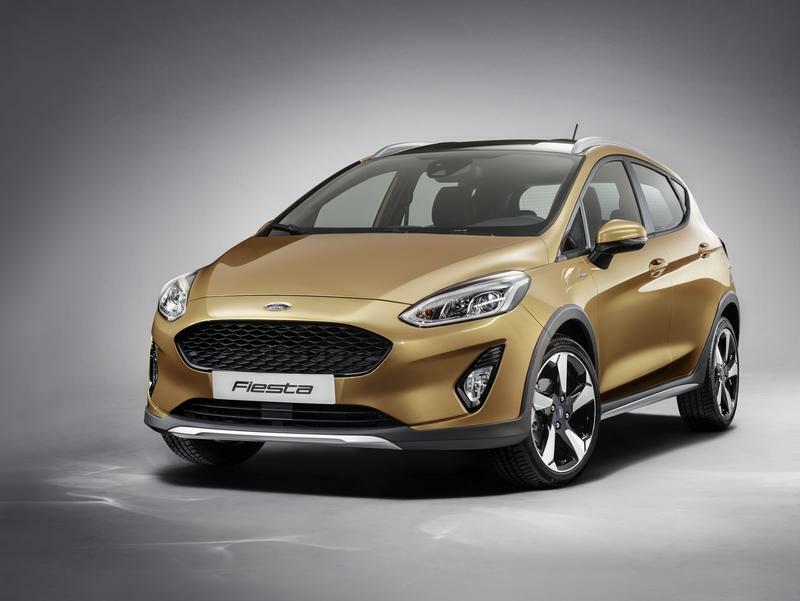 But again, all these features are actually borrowed from the Focus and Fiesta and look a lot like what you get with the high-riding Fiesta Active. Similarities with the popular hatchbacks continue around back. With both the Focus and Fiesta having received horizontal taillights, the Escape follows the same route. The SUV already had horizontal taillights in its previous generation, but they are now longer and thinner. The Escape also adopted the Focus’ big trapezoidal license plate recess in the center of the rear fascia, as well as the fake vents that house red lights at the corners of the rear bumper. The Fiesta has these features as well. The lower bumper remains similar to the outgoing Escape. Size-wise, the Escape is a bit wider and longer than its predecessor. It also stands a bit lower, but Ford has yet to release specific figures. 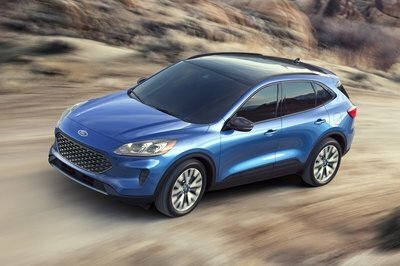 Overall, the fourth-generation SUV is a big improvement over the old model, but I think that it looks a bit too much like the Focus and Fiesta hatchbacks. It looks even more generic now, but it’s not surprising given that Ford decided to drop the Focus and Fiesta from the U.S. lineup. The Escape’s new interior is a big departure from the old SUV. It looks fresh, it feels modern, and it features better materials. But guess what? It’s an almost identical replica of the Focus’ cabin. It has same two-tier dashboard, a similar hood for the instrument cluster, and a trapezoidal center stack with controls at the top and A/C vents at the bottom. Even the knob and control section below is identical to the Focus and Fiesta. Is this a bad thing? Definitely not, but it seems that Ford gave up on the diversity front. Fortunately, there’s plenty of good news in the technology department. 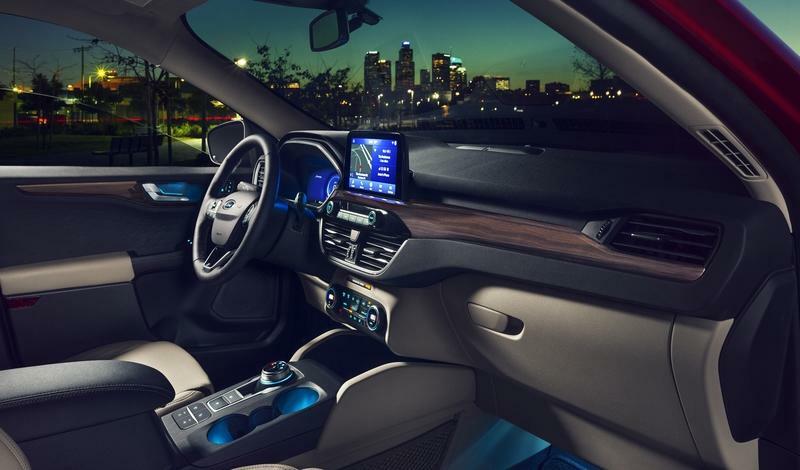 The eight-inch touchscreen on the dash is much bigger than its predecessor, while the available 12.3-inch digital instrument cluster puts the Escape on par with premium vehicles. 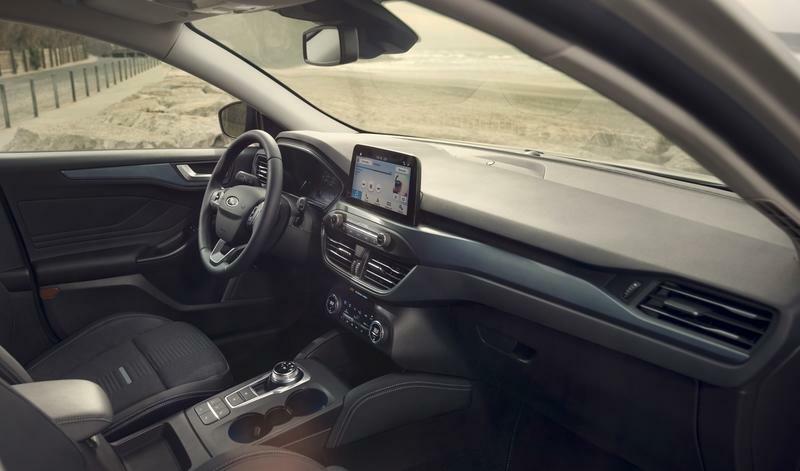 The SYNC 3 infotainment system comes with Apple CarPlay, Android Auto, Alexa and Waze navigation, but you’ll have to select it from the options list. If you’re a fan of high-fidelity music, Ford offers a 575-watt, 10-speaker sound system by Bang & Olufsen. 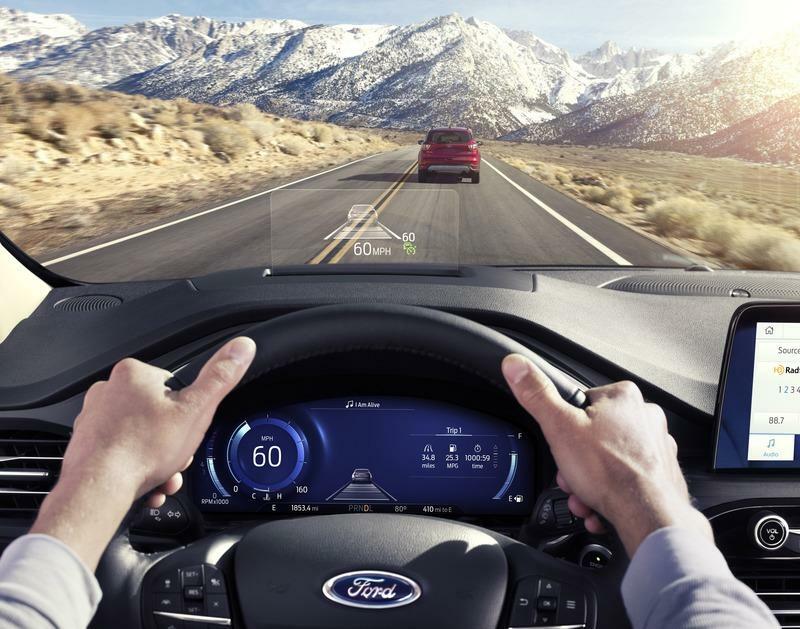 FordPass Connect, now standard on every trim, provides 4G LTE connectivity for up to 10 devices and remote access to the vehicle. Install an app on your smartphone and you can lock, unlock, locate, and start the vehicle without getting close to it. Ford also included a wireless charging pad in the center console, as well as USB charging ports and three 12-volt charging sockets. Opt for the expensive Titanium trim and you’ll also get a heads-up display. 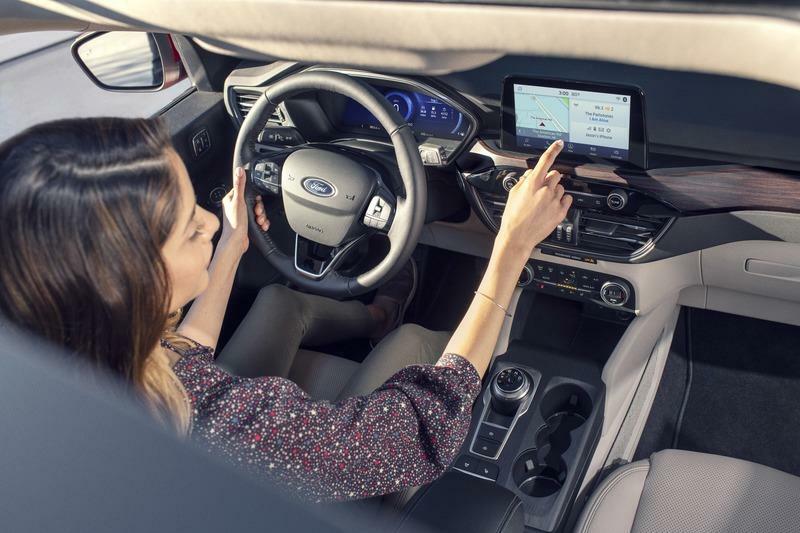 A first for Ford in North America, it project information onto a six-inch screen in front of you so you can monitor vital information without getting your eyes away from the road ahead. Ford also improved passenger comfort across the board. 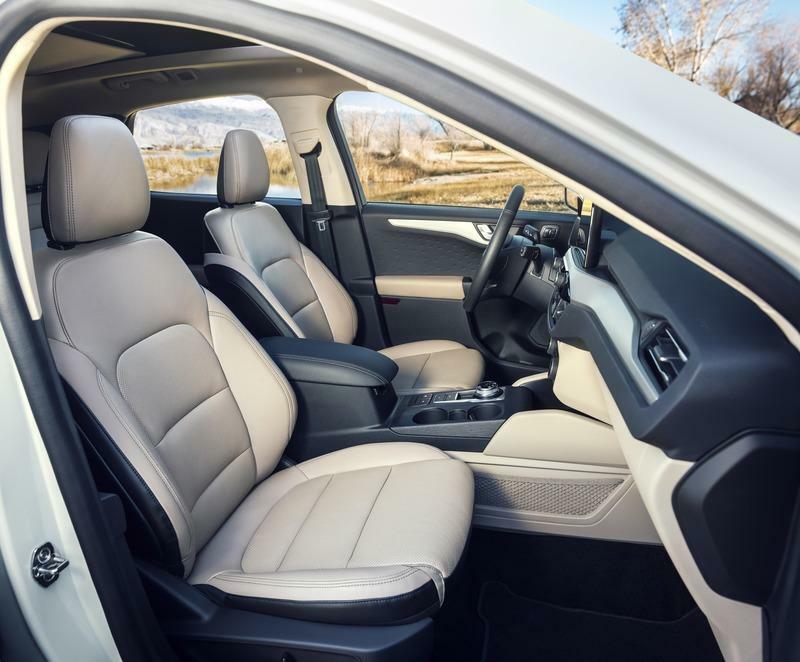 The SUV now features sliding second-row seats that provide best-in-class legroom when they are in full rearward position. There are no figures to run by so we will have to take Ford’s word for it, but the company mentions that this is available for gasoline models only. Hybrids aren’t as roomy due to the battery mounted in the floor. The sliding seats also increase knee room for rear-seat passengers. Put the seats in their full forward position and the trunk’s length increases by six inches. In this setup, it can swallow up to 37.5 cubic feet of cargo (again available for gasoline models only), which translates to four sets of golf clubs or a full-size dog crate. This figure accounts for a 3.2-cubic-foot increase over the old Escape, which was rated at 34.3 cubic feet. The Escape’s trunk is now on par with the Toyota RAV4, rated at 37.6 cubic feet, and notably bigger than the Mazda CX-5, which offers 30.9 cubic feet. 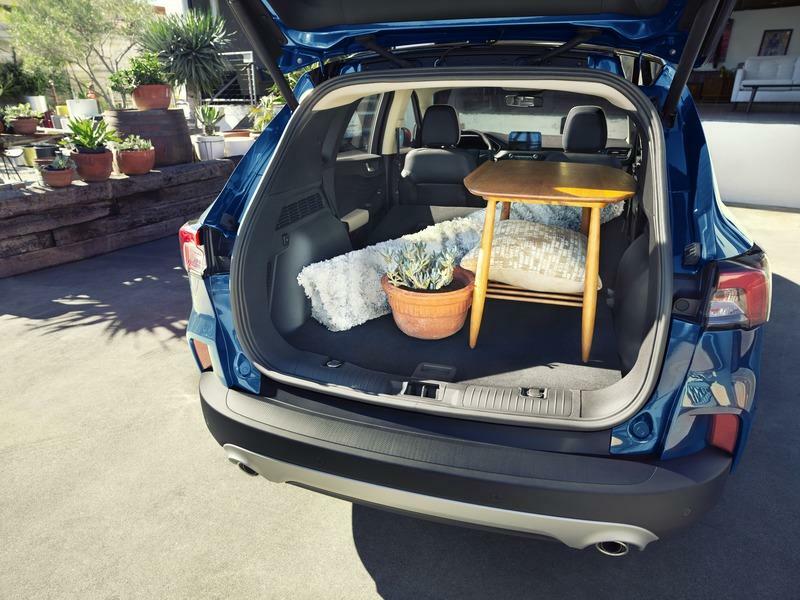 It’s also significantly roomier than the Chevrolet Equinox, which takes up to 29.9 cubic feet of cargo behind the second-row seats. Ford has yet to reveal how much cargo you can stuff behind the front seats, but it should be roomier than its predecessor, rated at 68 cubic feet. The old Escape is already on par with the competition so the new SUV should raise above by a couple of cubic feet. Finally, despite having lowered the roof, Ford managed to increase headroom for both first- and second-row passengers. Shoulder room and hip room have also improved over the old Escape, but we don’t know by how much as of this writing. 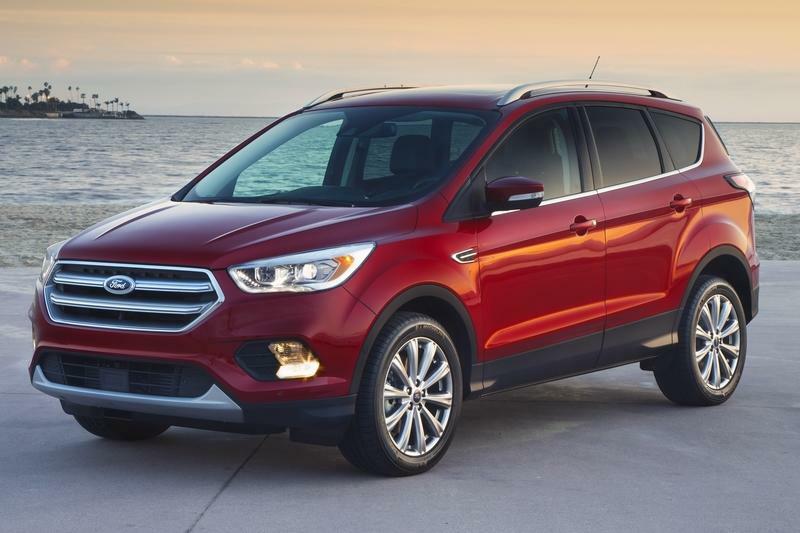 The new Escape comes with four different drivetrains, including a hybrid and a plug-in hybrid. 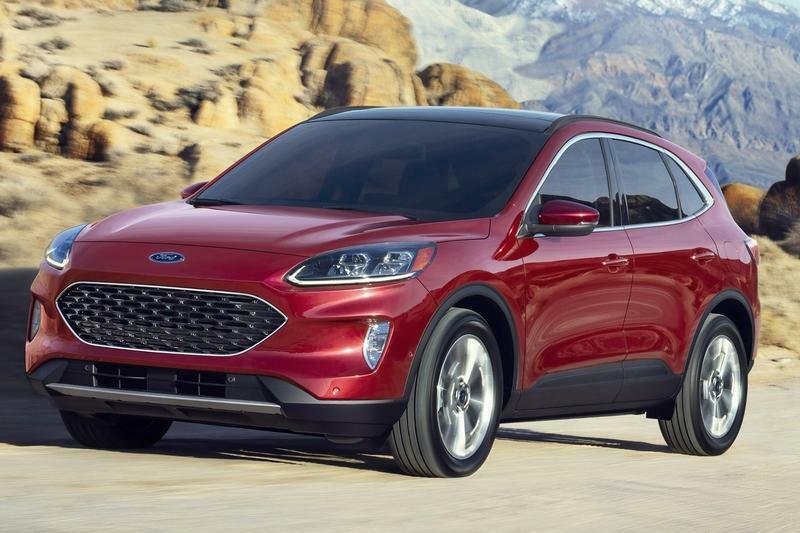 Just like other compact-sized Fords, the Escapes feature EcoBoost engines only. Actually, choices continue to include 1.5- and 2.0-liter mills, but both have been redesigned. The revised 1.5-liter EcoBoost, which comes standard on S, SE, and SEL trims, packs 180 horsepower and 177 pound-feet of torque. That’s the same output as the outgoing engine, but the mill now features cylinder deactivation. The first engine from Ford to have this feature in the U.S., it shuts down a cylinder when power is not needed, turning the 1.5-liter unit into a three-cylinder for enhanced fuel economy. Shutting down and activating the cylinder takes only 14 milliseconds. 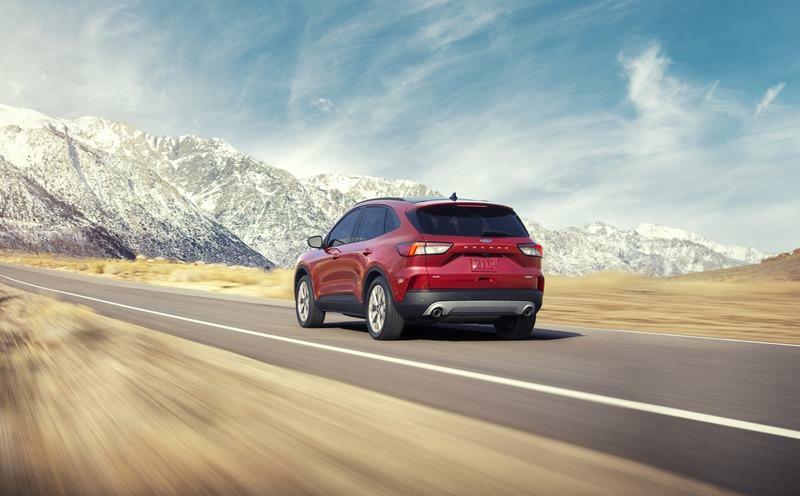 When properly equipped, the Escape with this engine tows up to 2,000 pounds, as much as the old SUV. The engine mates to a new eight-speed automatic, while an all-wheel-drive system is available as an option. If you need more oomph, you can go with the optional 2.0-liter EcoBoost, although it’s only available on the expensive Titanium trim. Projected to deliver 250 horsepower and 275 pound-feet of torque, the revised engine is only marginally more powerful than its predecessor, rated at 245 horses. An extra five horsepower might not sound like much, but Ford says the Escape fitted with the 2.0 EcoBoost is 10 percent quicker from 0 to 60 mph. The old SUV needs around 6.6 seconds to get there, so the new Escape should hit that speed in around six clicks. Needless to say, it’s a notable improvement. 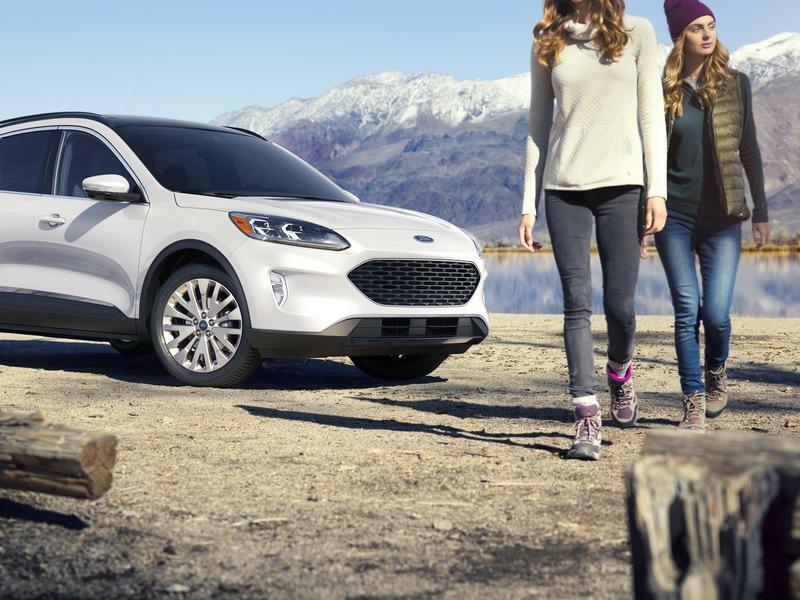 Also offered with the eight-speed automatic transmission and optional all-wheel drive, the Escape 2.0 tows up to 3,500 pounds when properly equipped. Again, this is identical to the old model, but it’s a solid rating compared to the competition. 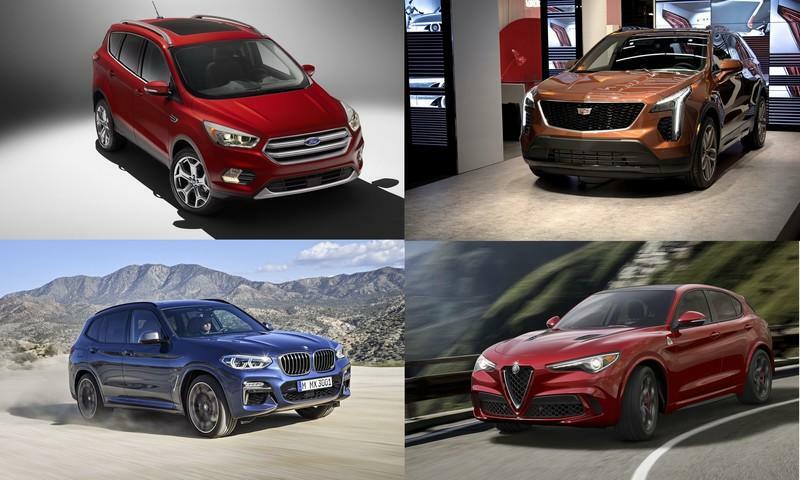 Specifically, it’s on par with the Toyota RAV4 and the Chevrolet Equinox, but far superior than the rating of the Mazda CX-5 (at only 2,000 pounds). Ford also offers a hybrid and a plug-in hybrid model, both powered by an all-new, 2.5-liter Atkinson-cycle engine and a CVT transmission. Details are still scant, but Ford says that the front-wheel drive hybrid is projected to produce a combined system output of 198 horsepower and hit a top speed of 85 mph in all-electric mode. The plug-in version will return a 30-mile range on battery power alone, while total range is estimated at 550 miles, a best-in-class figure until proven otherwise. Charging the battery using a 110-volt charger takes up to 11 hours, while a 240-volt charger reduces that time to roughly 3.5 hours. Gasoline-powered models now feature a wide range of selectable drive modes as standard. You can choose between normal, eco, sport, slippery, plus snow and sand. Hybrids have their own sets of modes. There’s Auto EV, in which the vehicle decides whether to run on gas or electric power, and EV Now, which you can use to operate the Escape on electric power only. The EV Later mode switches to full gas power to conserve electric power, while EV Charge mode allows you to charge the battery while driving on gasoline. Bore and stroke 3.31 x 3.54 in. 3.44 x 3.27 in. 3.50 x3.94 in. 3.50 x3.94 in. The Escape is now smarter than ever thanks to the standard Co-Pilot360 system, which includes a lane keeping system, automatic emergency braking with pedestrian detection, a blind spot information system, and a rearview camera. But if you want more than that, you’ll have to pay extra for the optional features. You can get Adaptive Cruise Control with Stop-and-Go and Lane-Centering and the class-exclusive Active Park Assist 2.0 and Evasive Steering Assist. The former allows to park in a parallel or perpendicular spot with the touch of a button, as the Escape will do all the work with the steering wheel, gear shifter, gas and brake pedal. The latter detects slower-moving or stationary vehicles ahead and assist with the steering to avoid an imminent collision. 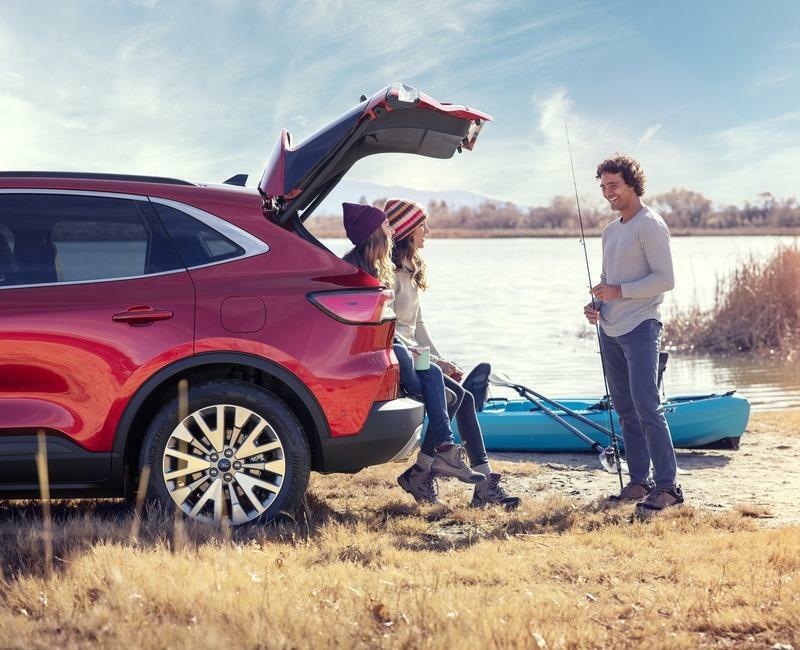 Ford has yet to announce pricing information for the new Escape as of April 2019, but it shouldn’t cost notable more than the outgoing model. The old Escape retails from $29,995, but the existing range begins with the SE trim. 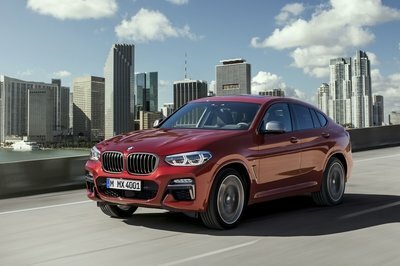 The upcoming SUV will have a lower S trim too, so it should retail from well below the $30,000 mark. Expect to pay around $40,000 for the Titanium and at least $35,000 for the base hybrid model. A legendary presence in the compact segment since its introduction in 1994, the RAV4 is the main reason why so many companies joined this market. 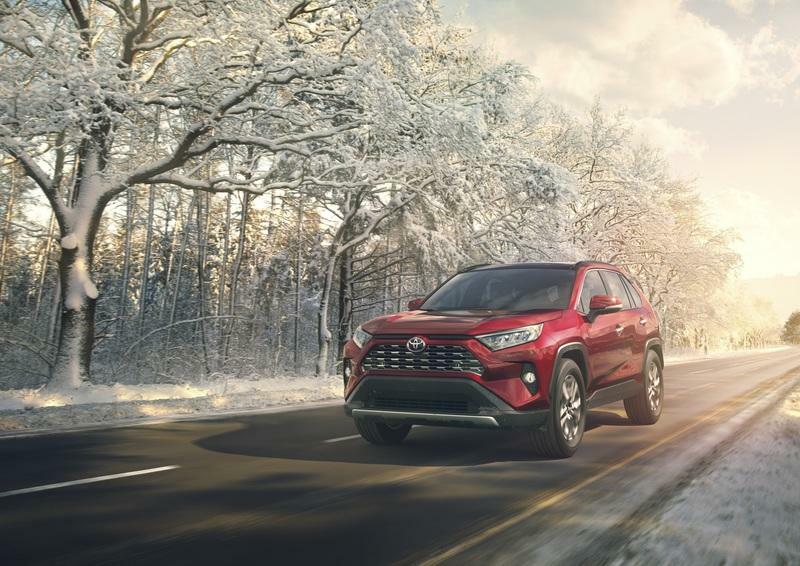 Redesigned for the 2019 model year, the RAV4 now sports a more angular and aggressive look and a modern interior with Toyota’s latest technology. 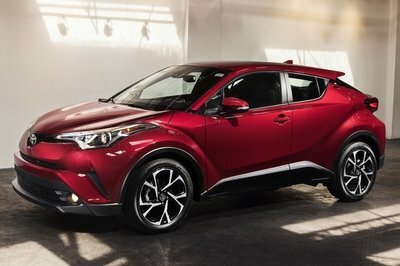 Powered by a 2.5-liter four-cylinder engine, the RAV4 is plenty powerful at 206 horsepower and 184 pound-feet of torque. The hybrid version mates an electric motor to the same engine for a total output of 219 horses and 206 pound-feet of twist. The hybrid model returns up to 41 mpg in the city, a notable 14 mpg increase over the gasoline version. On the other hand, mileage is similar on the highway, with the hybrid winning by 37 vs 34 mpg. Pricing starts from $25,500 for the gas model and from $27,700 for the hybrid. Read our full review of the 2019 Toyota RAV4. Already one of the most appealing crossovers in this segment design-wise, the CX-5 became even prettier thanks to its 2019-model-year upgrade. 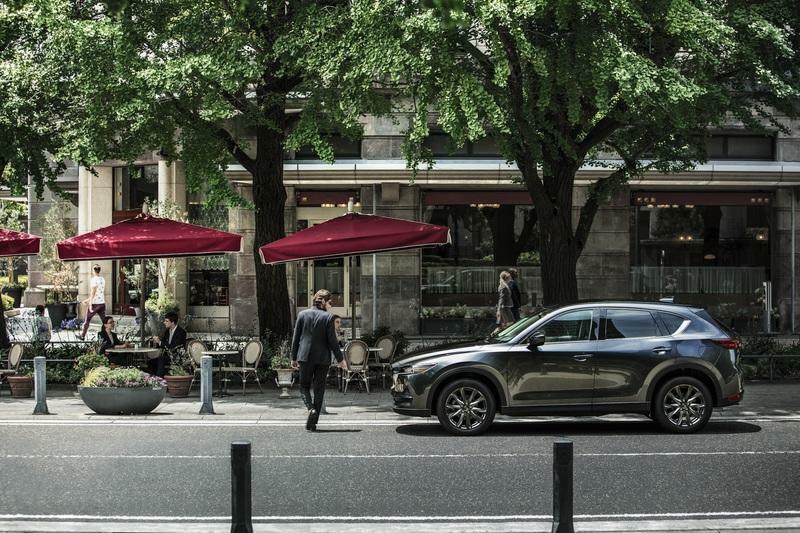 Infused with more angular lines and skinnier headlamps, the CX-5 looks just as sportier as the company’s sedans and hatchbacks, a rare feat in this market. The cabin is now fitted with better materials and state-of-the-art tech, but the CX-5 lacks the Escape’s massive digital display in the instrument cluster. 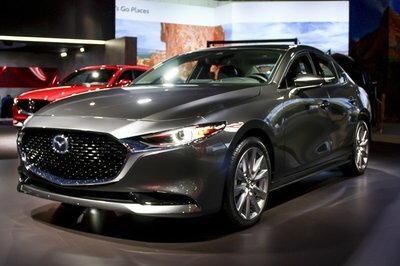 Another downside is that Mazda doesn’t offer a hybrid drivetrain, but the 2.0-liter four-cylinder mill cranks out a solid 187 horsepower and 186 pound-feet of torque. And before you say it’s not as powerful as Ford’s range-topping 2.0-liter engine, the CX-5 now comes with a turbo 2.5-liter four-banger in the more expensive trims. This mill delivers an impressive 250 horsepower and 310 pound-feet of torque. A diesel will also be offered in the U.S. starting 2019. Pricing starts from $24,350. 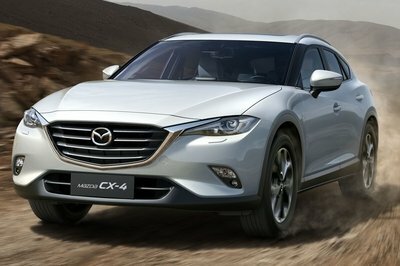 Read our full story on the 2019 Mazda CX-5. The latest-generation Equinox arrived for the 2018 model year with big improvements compared to its predecessor. Up until now, the Equinox was a far better option than the old Escape, but the tables have turned and Chevy’s crossover loses the battle in the design department due to its bloated looks. On the other hand, it has a nice interior with plenty of storage room and features that are nearly as nice as the Escape’s. Under the hood, the Equinox comes with a 1.5-liter turbo-four rated at 170 horsepower and 203 pound-feet of torque in base trim. Opt for the 2.0-liter turbo-four and output jumps to 252 horses and 260 pound-feet. The latter also comes with an advanced nine-speed automatic transmission. Unlike the Escape, the Equinox benefits from a diesel engine. The 1.6-liter four-cylinder cranks out 136 horsepower and 236 pound-feet of twist. 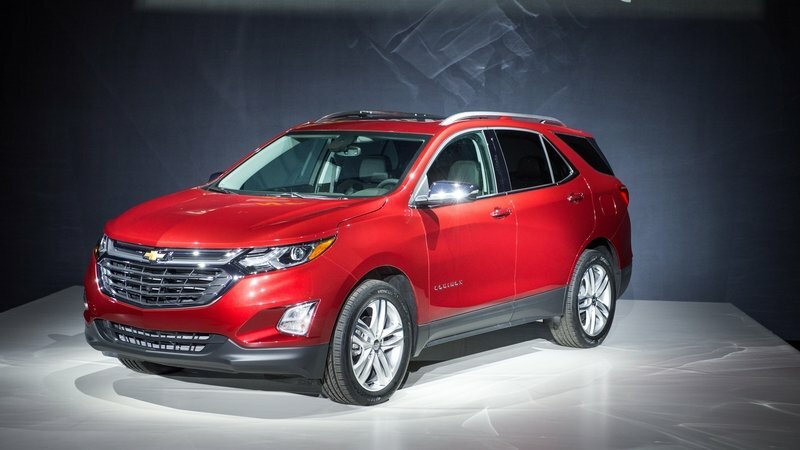 Pricing starts from $23,800, so the Equinox is the most affordable vehicle in this comparison. While I’m not a big fan of its Focus-based design, I must admit the new Escape looks pretty cool compared to other crossovers in this niche, especially the really bloated and boring Chevy Equinox. 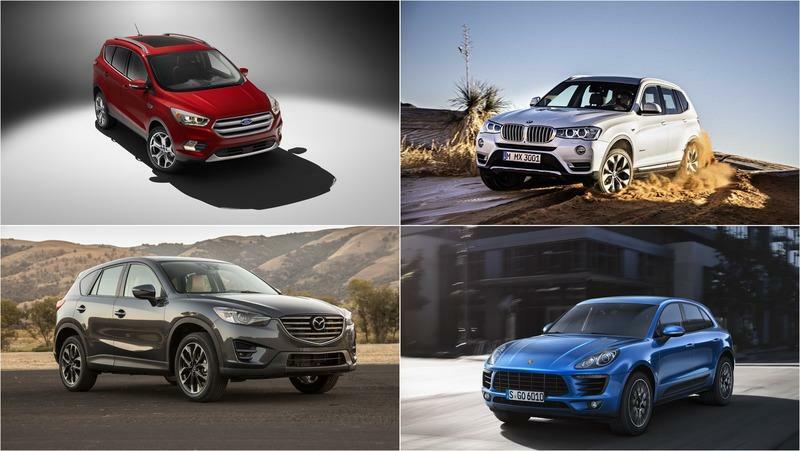 However, I would take the Mazda CX-5 or the Toyota RAV-4 over it any day of the week. On the flipside, the Escape boasts an impressive technology package and the massive instrument cluster display puts it at the top of the market. Unfortunately, the 2.0-liter EcoBoost is restricted to the expensive Titanium trim, so Ford did exactly what Mazda did with the CX-5. This engine must be offered on the more affordable trims as well. Keep it exclusive to the Titanium model will only push customers that want extra power without the extra bling away from the brand. 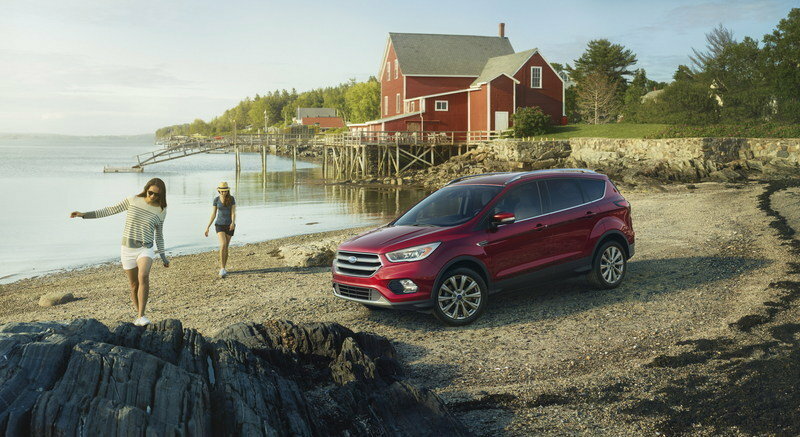 But if the 1.5-liter EcoBoost is good enough for your needs, the new Escape is a solid option. Read our full review on the 2018 Ford Escape.